This is my favourite instagram challenge of the entire year, followed closely by August Break. This is so funny. I was thinking about taking pictures during December, just for me and my journaling and this pops up! It was meant to be. So thrilled that this is back! 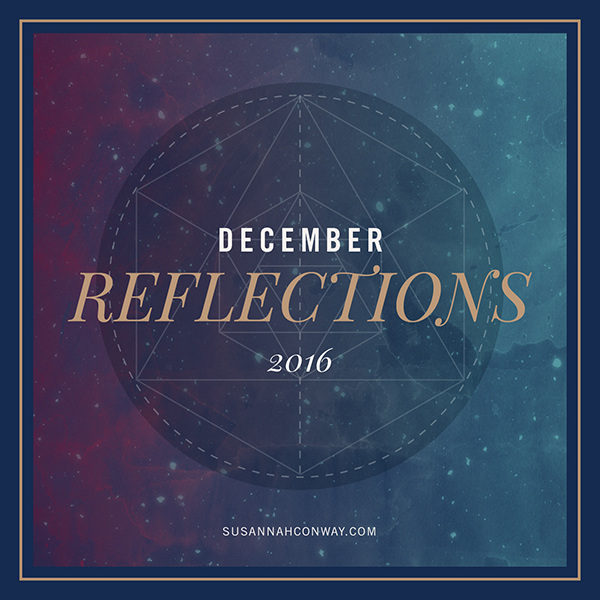 It’s such a lovely way to be mindful as the year draws to a close. I was curious if you plan to create a 2017 Unraveling the New Year packet? This is my favorite tradition for several years running and I’m excited to fill it out. Susannah, I just discovered you and your work today through Erica Midkiff, and I’m already such a fan! Really looking forward to take part in DR this year – it sounds like a really beautiful, rewarding project. Thank you for this, Susannah. I know you are stretched right now but will there be flickr group this time? I really enjoyed the flickr group for the August break this summer. If not I shall still enjoy your prompts and will be taking photographs. Thank you. What beautiful prompts! So excited to be taking part in this again this year. 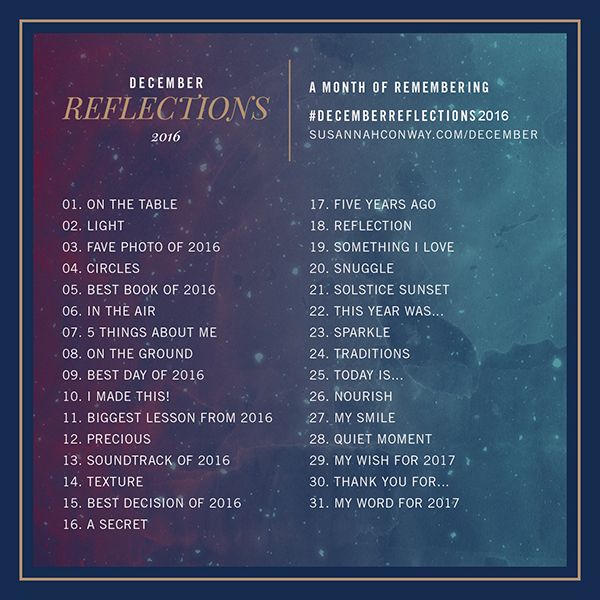 I loved doing the December Reflections last year and it was such a nice way to finish up the year. I’m so excited to join you for this Susannah – I love what you do and how you do it!